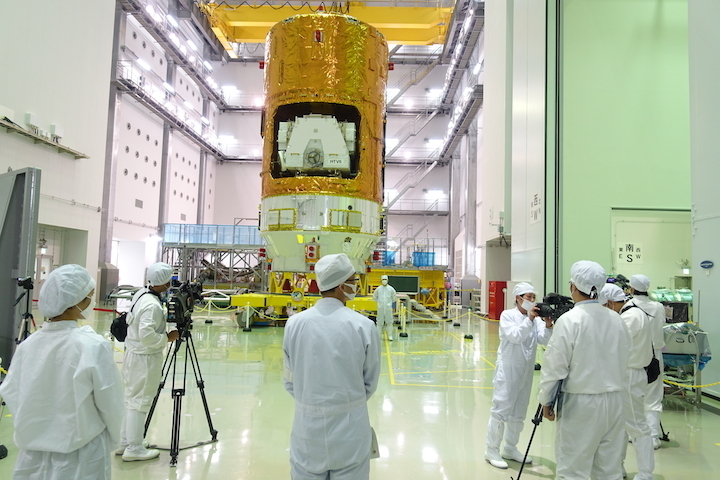 The Japan Aerospace Exploration Agency has unveiled the Kounotori 7 unmanned cargo transporter, which is scheduled to be launched from the Tanegashima Space Center in Kagoshima Prefecture on Sept. 11. 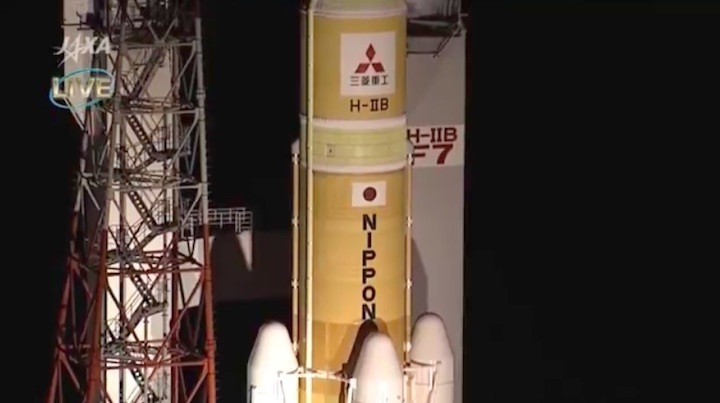 The cargo ship will be loaded onto the Japan-made H-2B large rocket, and carry about 6.2 tons of food, clothing and other daily commodities to the astronauts at the International Space Station. 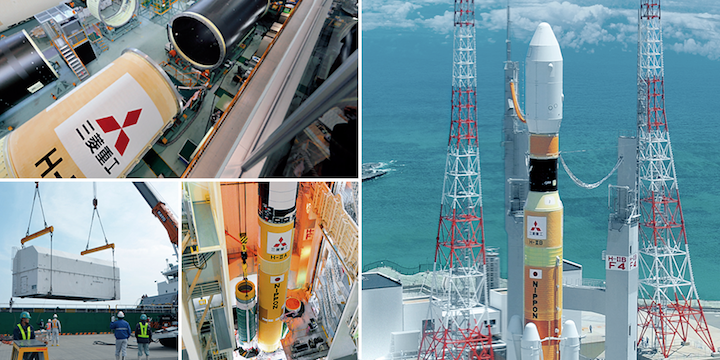 The cylinder-shaped Kounotori is about 10 meters long and 4.4 meters in diameter. 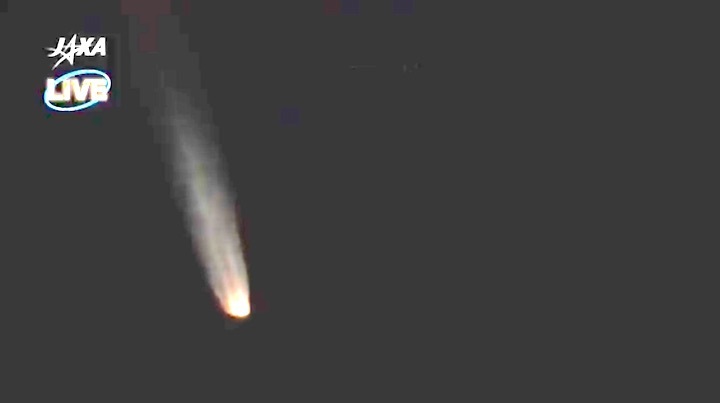 It is the same type as its predecessor, the Kounotori 6. 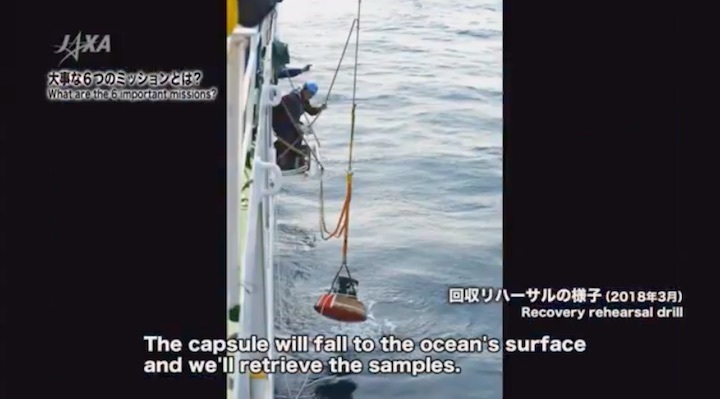 The Kounotori will also carry a small capsule designed to collect test samples, the first of its kind, and bring protein crystals and other materials back to Earth from the ISS. 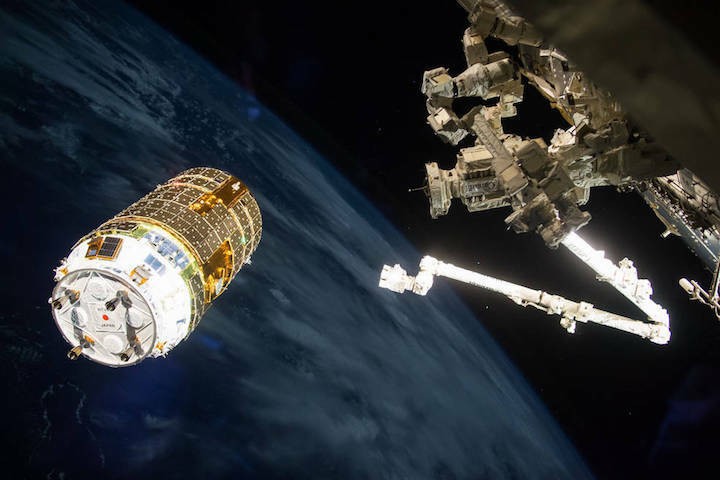 The Japan Aerospace Exploration Agency’s (JAXA) unpiloted H-II Transport Vehicle-6 (HTV-6) makes its final approach to the International Space Station Dec. 13, 2016. 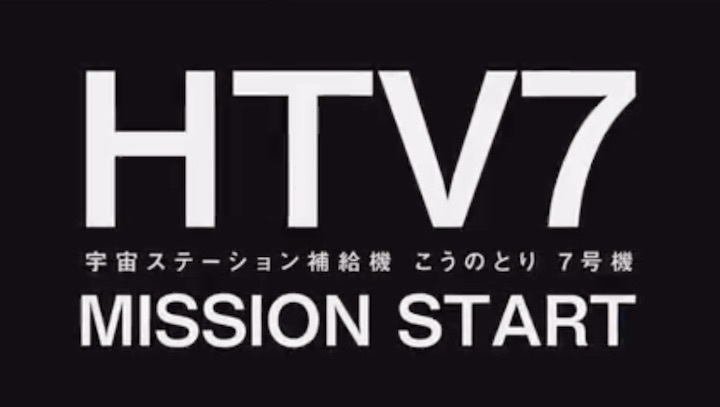 The Japan Aerospace Exploration Agency’s (JAXA) unpiloted H-II Transport Vehicle-7 (HTV-7) is scheduled to lift off from the Tanegashima Space Center in southern Japan nine years to the day after the flight of the first HTV cargo spacecraft. 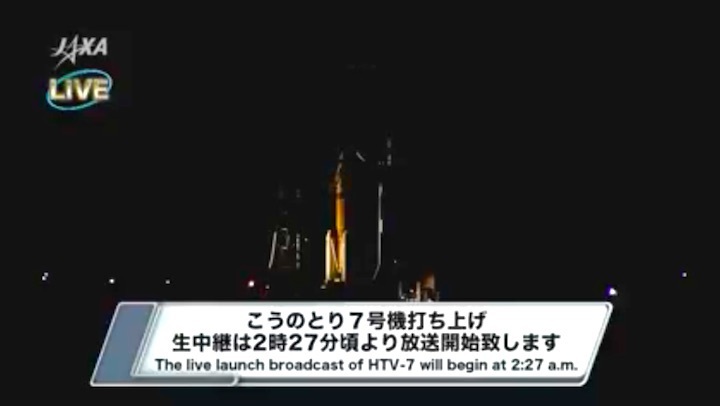 Live coverage will begin at 6 p.m.
HTV-7 will arrive at the space station Friday, Sept. 14. 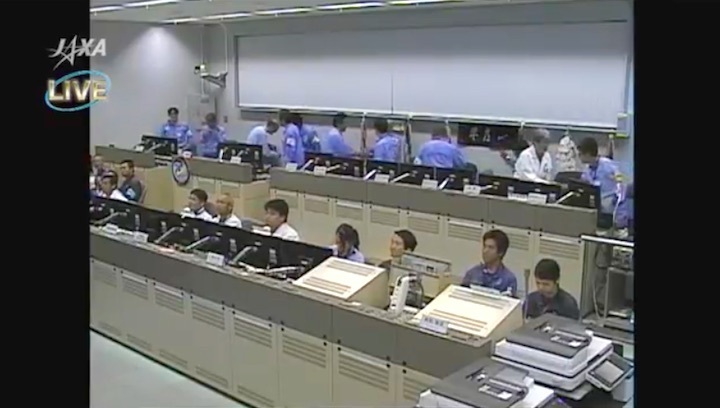 Live coverage of spacecraft rendezvous will begin at 6 a.m. Expedition 56 Commander Drew Feusteland Flight Engineer Serena Auñón-Chancellor of NASA will operate the station’s Canadarm2 robotic arm to capture the spacecraft as it approaches from below. 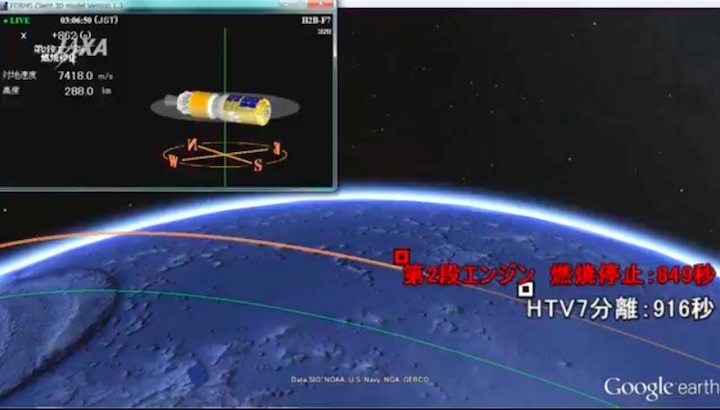 Flight Engineer Alexander Gerst of ESA (European Space Agency) will monitor HTV-7 systems during its approach to the orbiting complex. 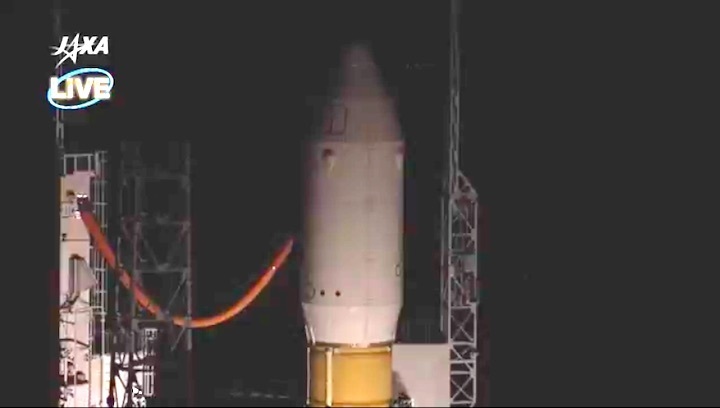 Capture is scheduled for around 7:40 a.m. After a break, NASA TV coverage will resume at 11 a.m. for spacecraft installation to the space station’s Harmony module by ground controllers operating Canadarm2 remotely. 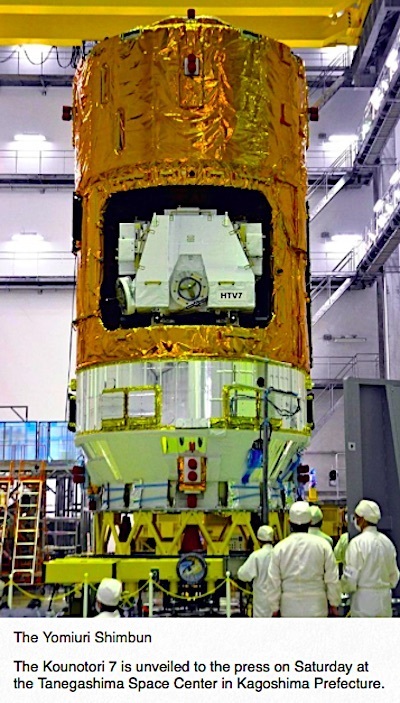 Also aboard HTV-7 is a small reentry capsule designed by JAXA that will be assembled by the station crew prior to HTV-7’s departure this fall. 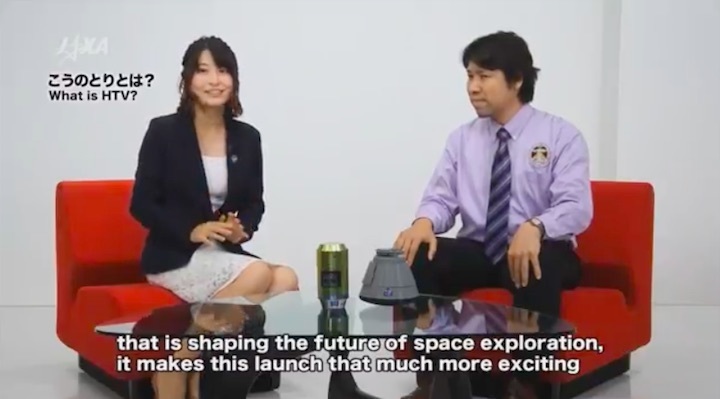 The cone-shaped capsule, measuring 2 feet high and 2.7 feet wide, is an experimental technology demonstration designed to test JAXA’s ability to return small Japanese science payloads from the station for expedited delivery to researchers. 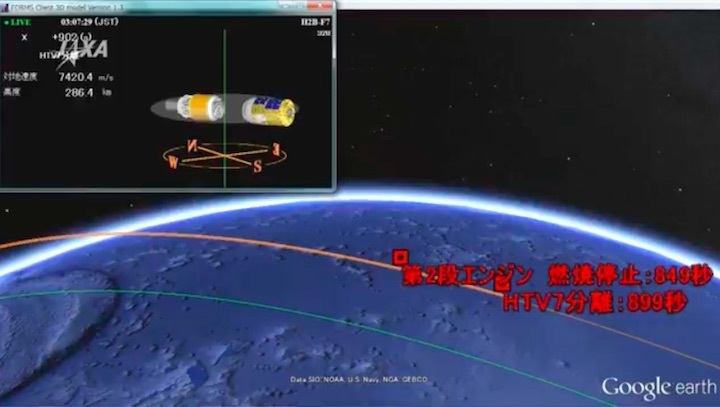 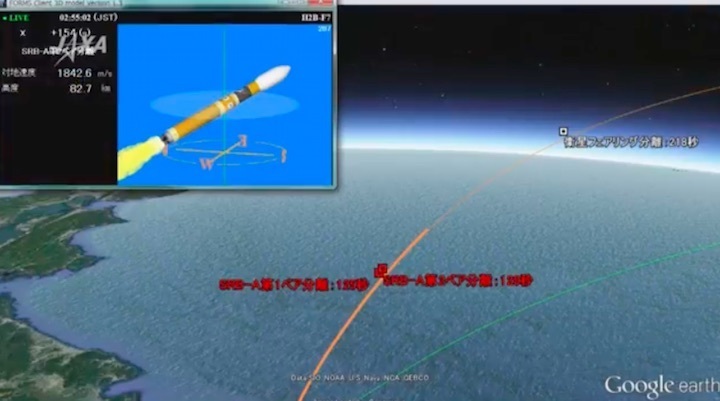 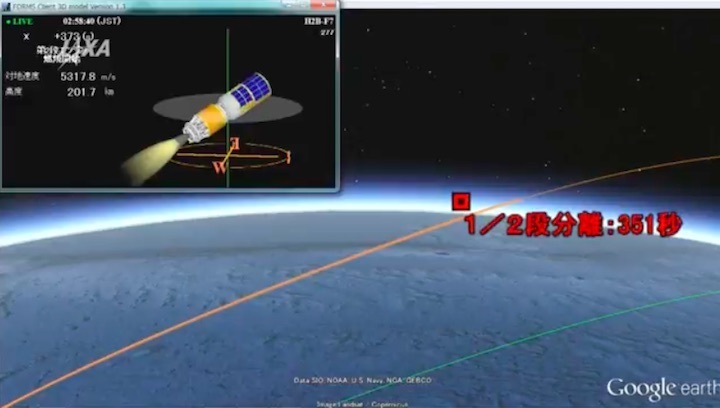 Following HTV-7’s departure from the station and several deorbit maneuvers, the capsule will be ejected from the spacecraft’s hatch for a parachute-assisted splashdown off the coast of Japan, where a JAXA ship will recover it. 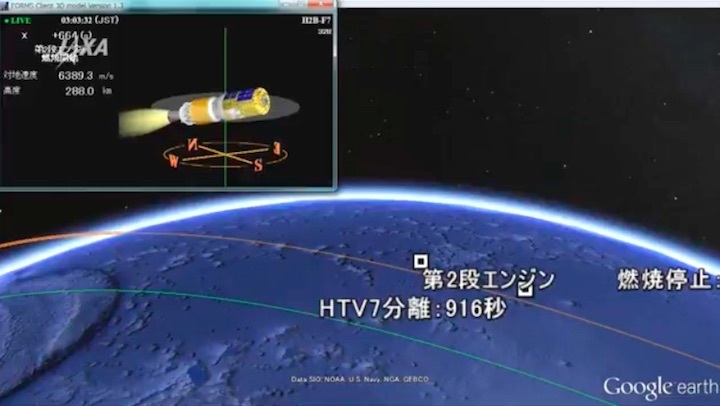 HTV-7 will reenter Earth’s atmosphere after its deorbit maneuvers to burn up harmlessly over the South Pacific Ocean this fall. 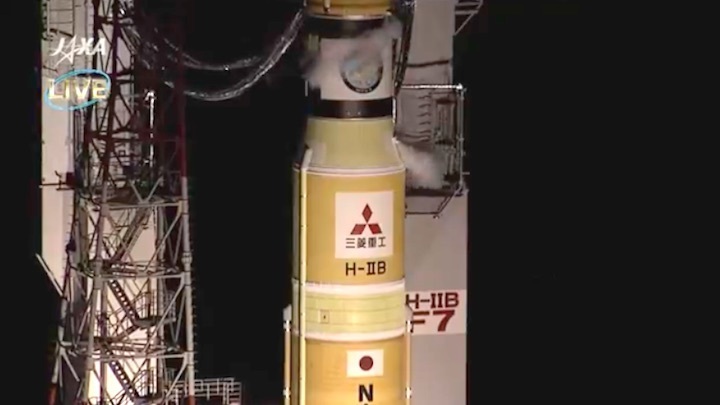 Mitsubishi Heavy Industries, Ltd. (MHI) and Japan Aerospace Exploration Agency (JAXA) have postponed the launch of the H-IIB Launch Vehicle No. 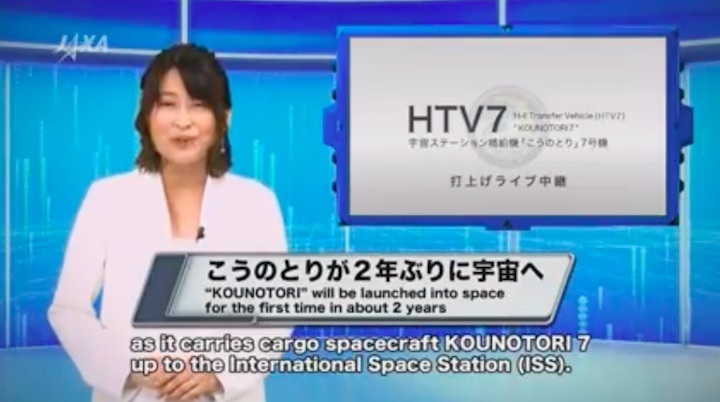 7(H-IIB F7) which carries aboard the H-II Transfer Vehicle "KOUNOTORI7" (HTV7), the cargo transporter to the International Space Station (ISS) from the JAXA Tanegashima Space Center. 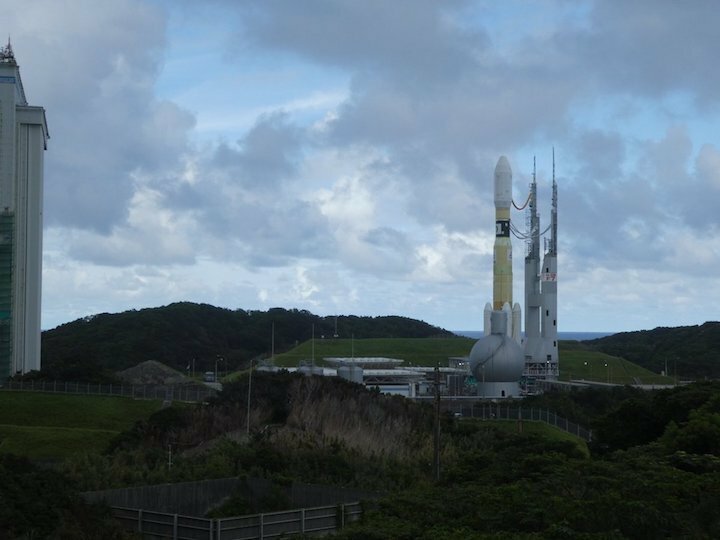 In Guam, where there is one of JAXA's tracking stations, adverse weather including strong winds caused by a typhoon is predicted for the day before and launch day. 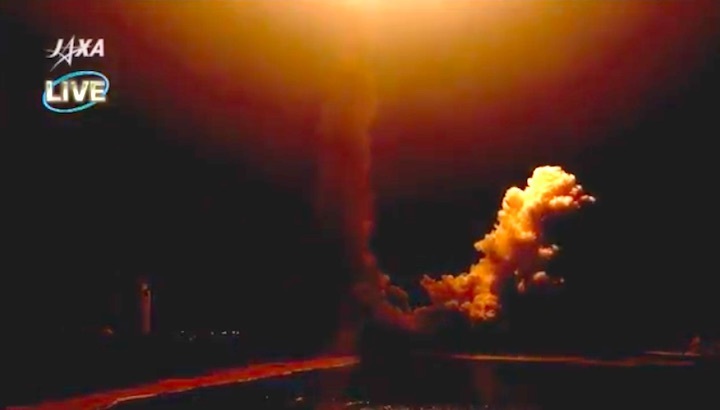 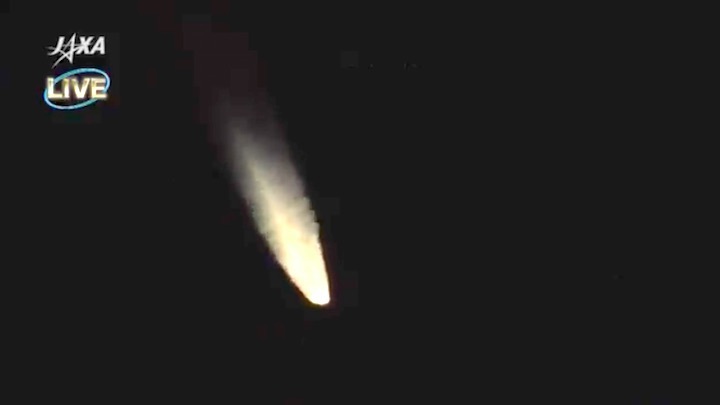 The launch was originally scheduled for September 11, 2018. 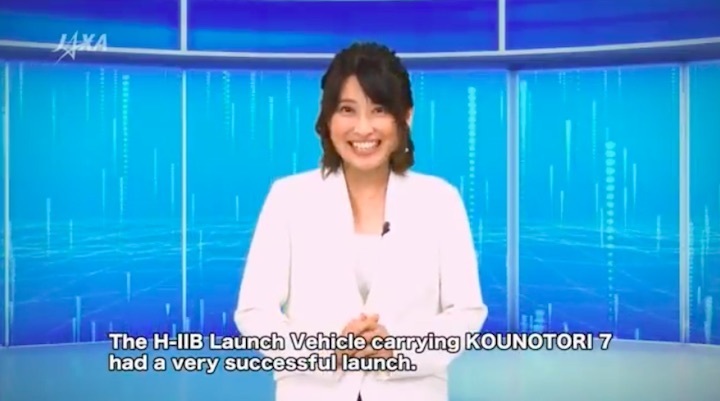 New launch date will be informed when determined. 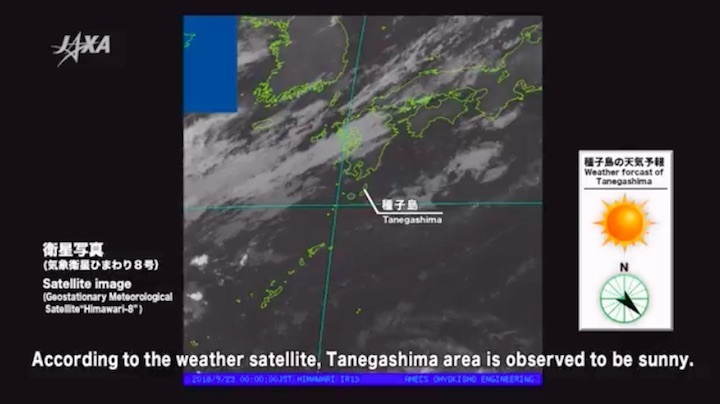 TANEGASHIMA, KAGOSHIMA PREF. 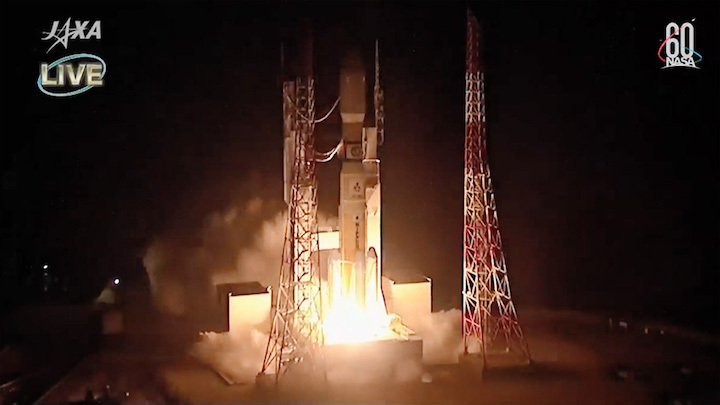 – A rocket launch to resupply the International Space Station was delayed again on Saturday by a “serious” equipment problem, Mitsubishi Heavy Industries Ltd. said. 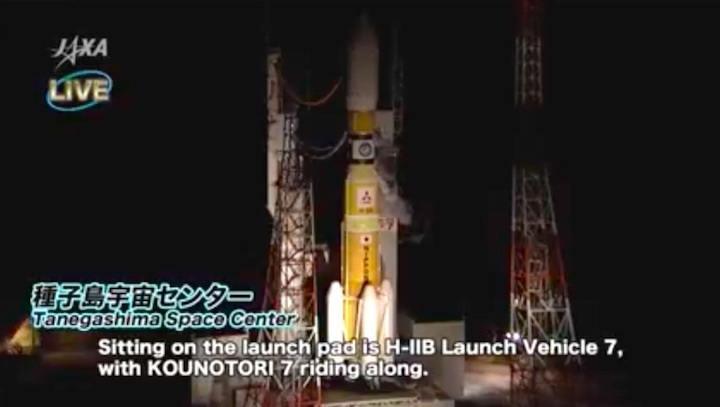 Today's Launch Cancellation, H-II Transfer Vehicle "KOUNOTORI7"
apan’s H-IIB rocket with the HTV-7 resupply ship on top blasts off at 1:52 p.m. EDT on Friday, Sept. 22 (2:52 a.m. Sept. 23 Japan standard time) from the Tanegashima Space Center. 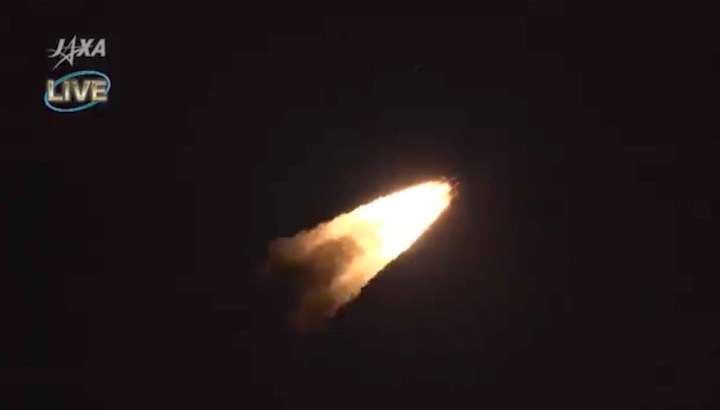 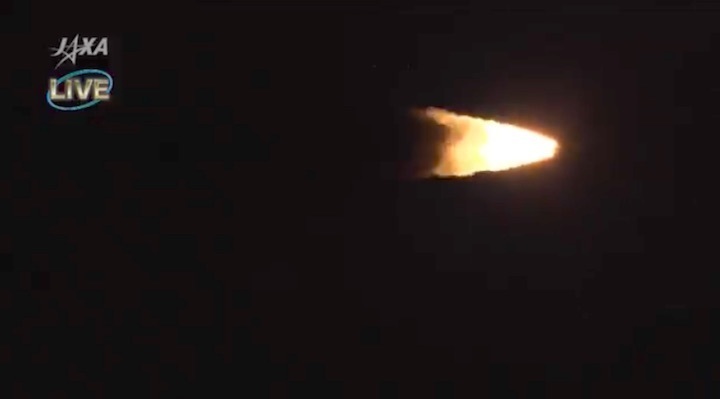 The Japan Aerospace Exploration Agency (JAXA)’s H-IIB rocket launched at 1:52 p.m. EDT on Friday, Sept. 22 (2:52 a.m. Sept. 23 Japan standard time) from the Tanegashima Space Center in southern Japan. 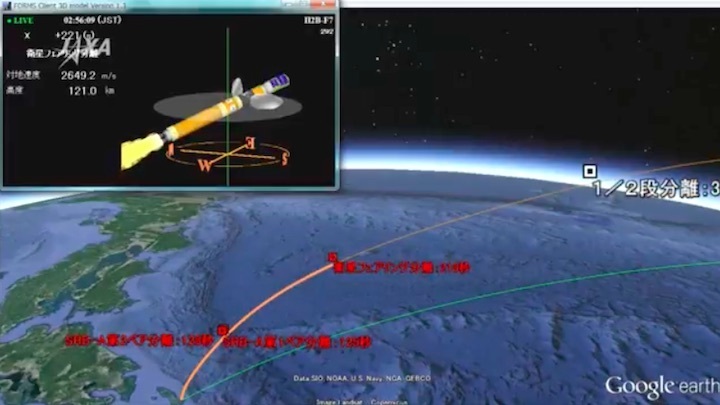 At the time of launch, the space station was 254 miles over the southwest Pacific, west of Chile. 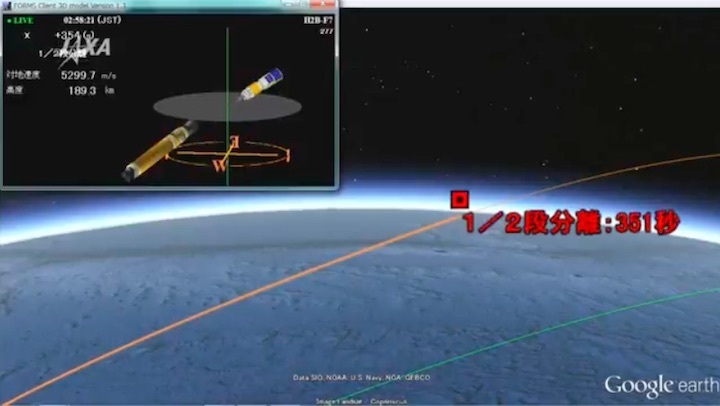 On Thursday, Sept. 27, the HTV-7 will approach the station from below and slowly inch its way toward the orbiting laboratory. 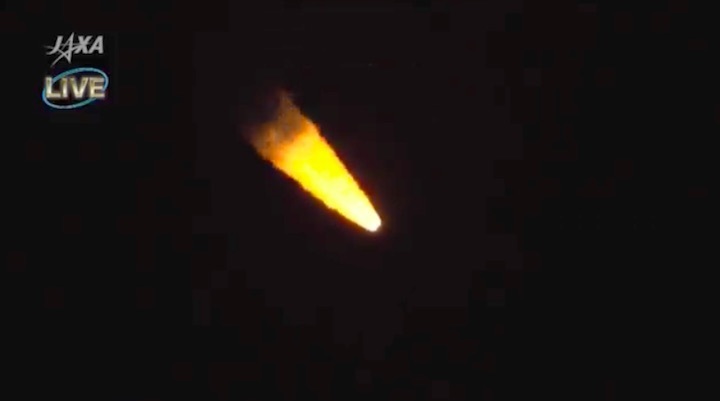 Expedition 56 Commander Drew Feustel and Flight Engineer Serena Auñón-Chancellor of NASA will operate the station’s Canadarm2robotic arm to capture the spacecraft as it approaches. 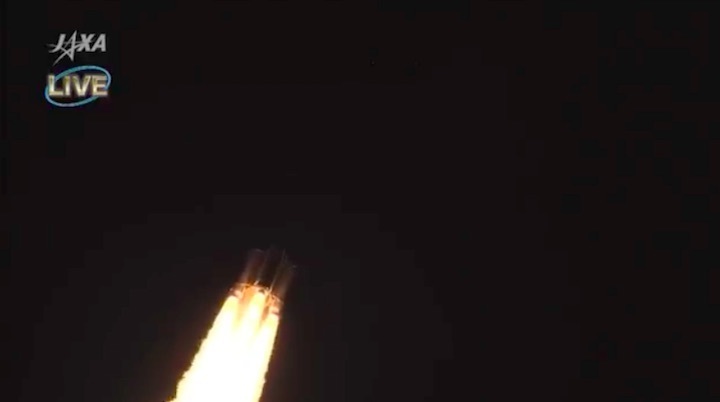 Flight Engineer Alexander Gerst of ESA (European Space Agency) will monitor HTV-7 systems during its approach. 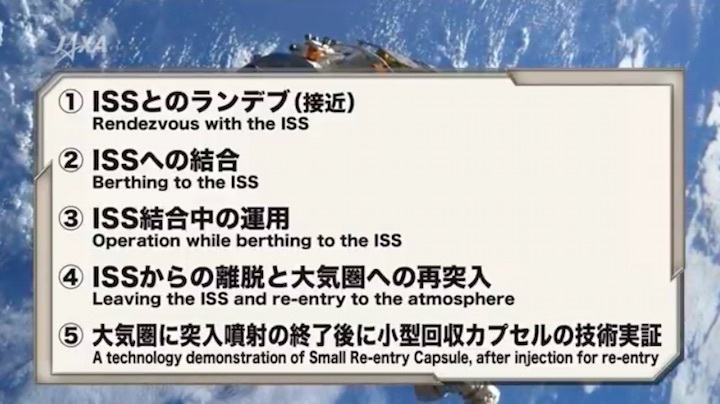 Robotic ground controllers will then install it on the Earth-facing side of the Harmony module, where it will remain for several weeks.